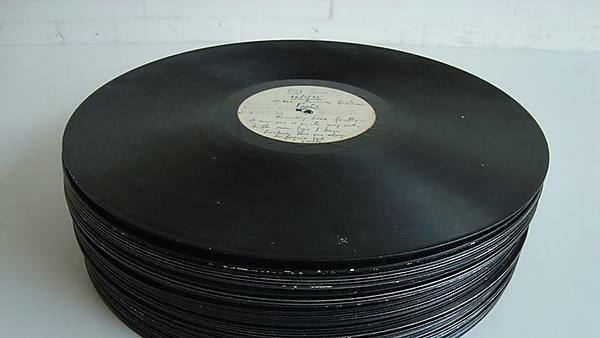 In January 2018, Dr Harry Bennett, Reader in History, purchased 50 odd 78rpm records off eBay. They were recorded in 1934-35 on the HMS Emerald by R.T. Grogan. Through painstaking research in the following months, Dr Bennett was able to piece together the history of the records. Robert Terence Grogan joined the Royal Navy in 1917 and passed out of Keyham College in 1918. The recordings were made while HMS Emerald was on the East Indies station between 1934 and 1936 and highlight the everyday routine and boredom of an officer in the interwar Royal Navy. Grogan was killed in action on HMS Hood in 1941. Dr Bennett was able to trace Grogan’s nearest relative – Peter Jefferson and reunite the family with the recordings. You can find out more about this fascinating research in our news release, on the Poseidon Library website and as reported on the BBC website.